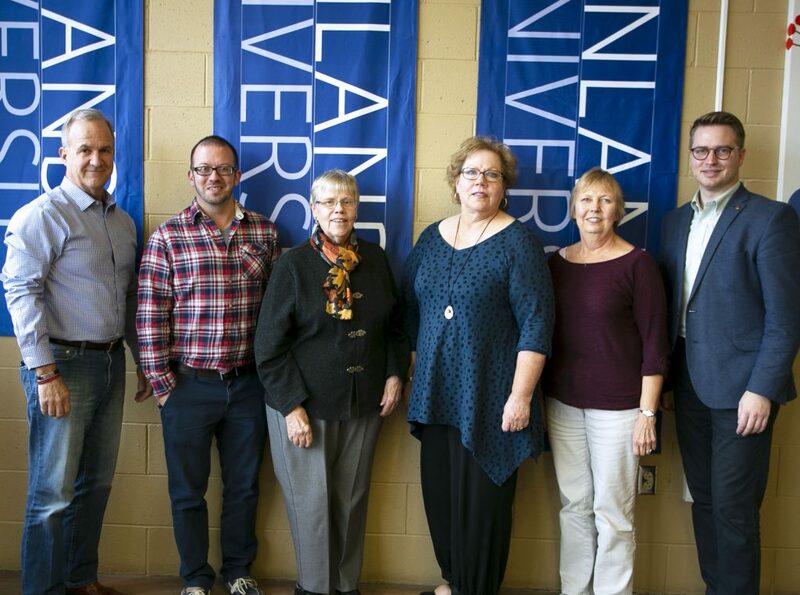 As an advisory group to the university, the mission of the Finlandia Alumni Board is “the promotion of the vision, mission, goals, and programs of Finlandia University.” Those interested in joining the Alumni Board should email Olivia Myers (olivia.myers@finlandia.edu) for more information. Members of the 2018 Alumni Board at the annual meeting. From left to right, Vice President Stephen Szuber, Secretary Jason Sullivan, Donna Kennard, President Monica Hill, Robin Alanen-Mosher, Jordan Siegler.